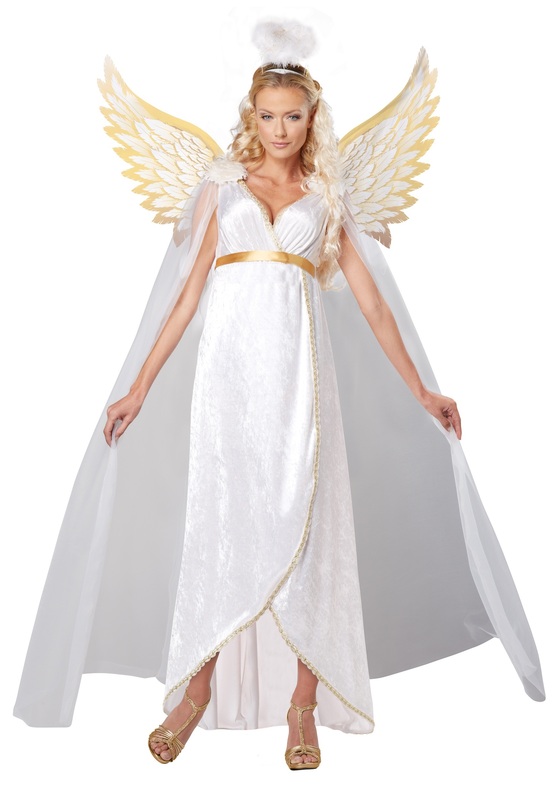 Become the Holy Mother for a night with this Adult Virgin Mary Costume! 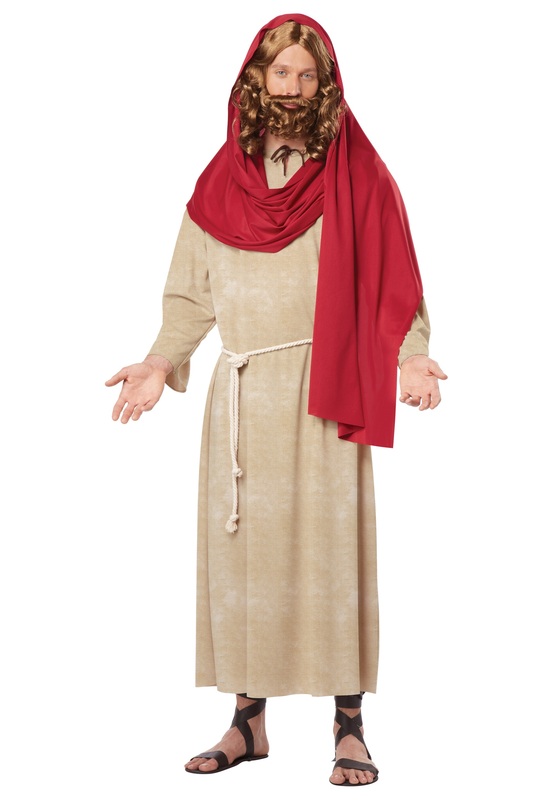 This is great for Christmas plays or a live Nativity! 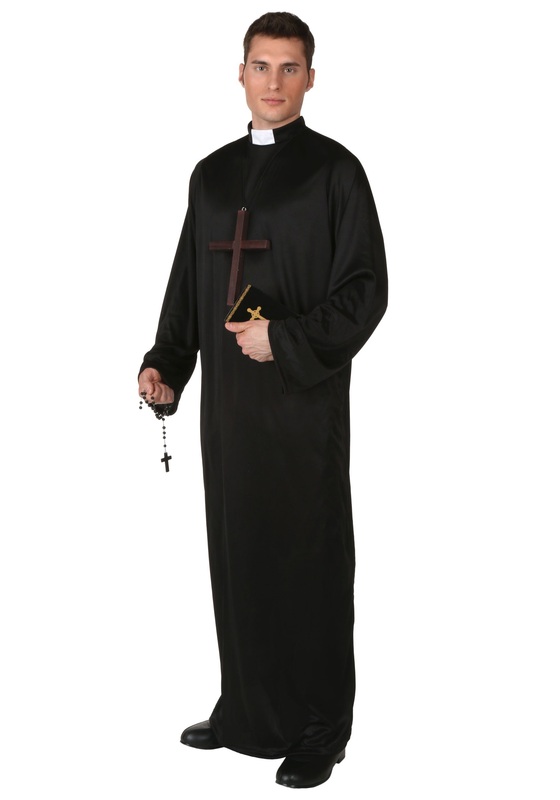 SKU: 530386724 Categories: Adult Religion Costumes, Religion Costumes. They say that to truly know someone, you need to walk a mile in his shoes. 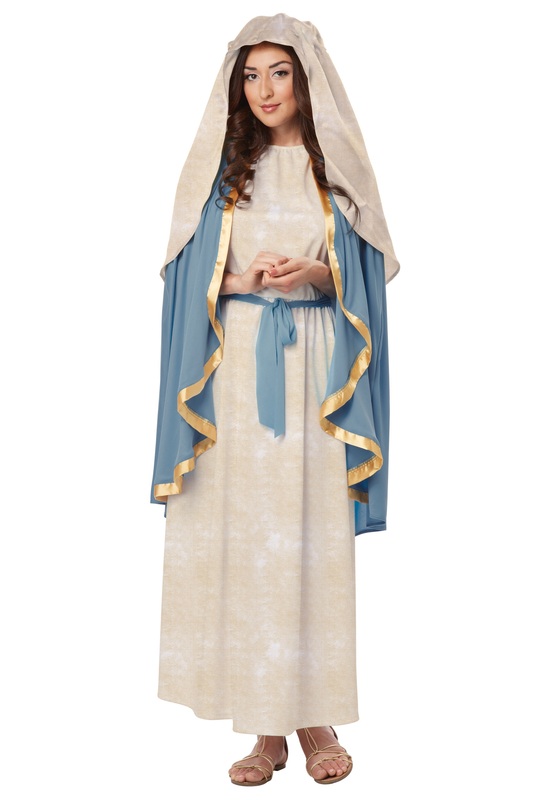 We say, if you want to know what it was like in biblical times, we recommend stepping into this Adult Virgin Mary Costume…(and you can add a pair of leather sandals to take care of the whole “walk a mile in her shoes” thing). You have been dreaming of diving right into your favorite time of year and now the time is upon you! 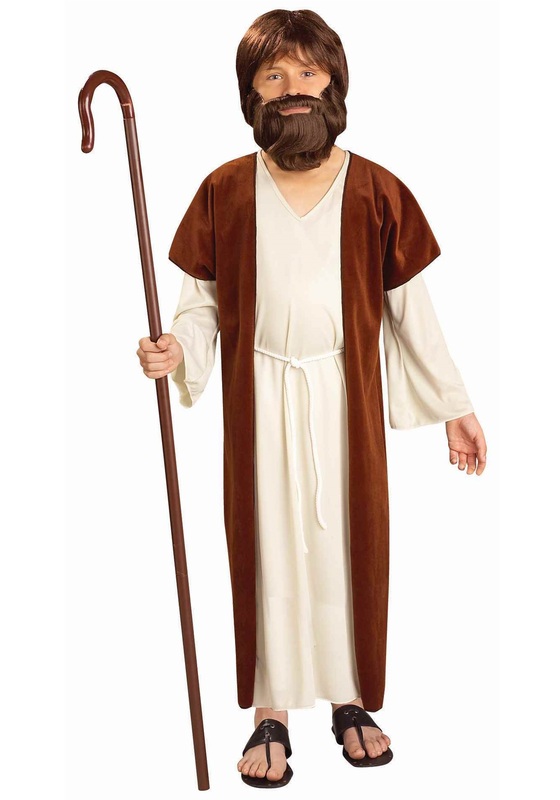 Bedecked in this classic costume, you can finally take your place in a live Nativity scene this holiday season or star in a local Christmas pageant. 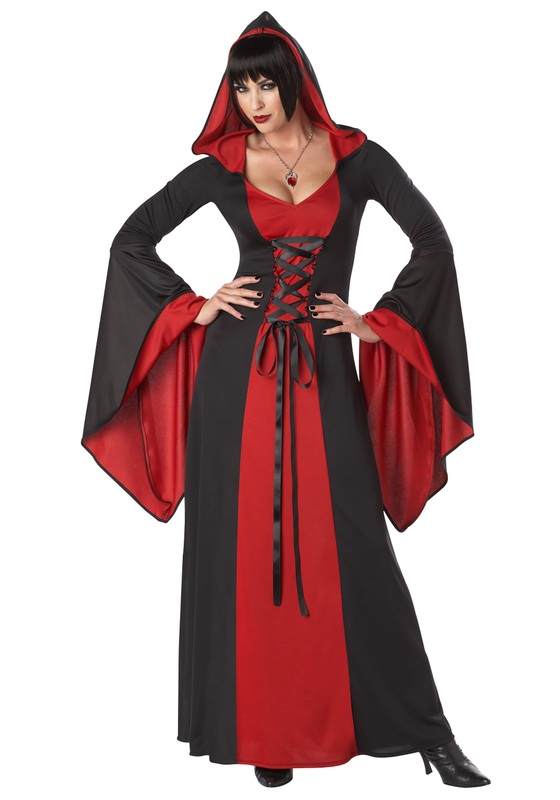 What a perfect way to show off your historical prowess and your acting chops! 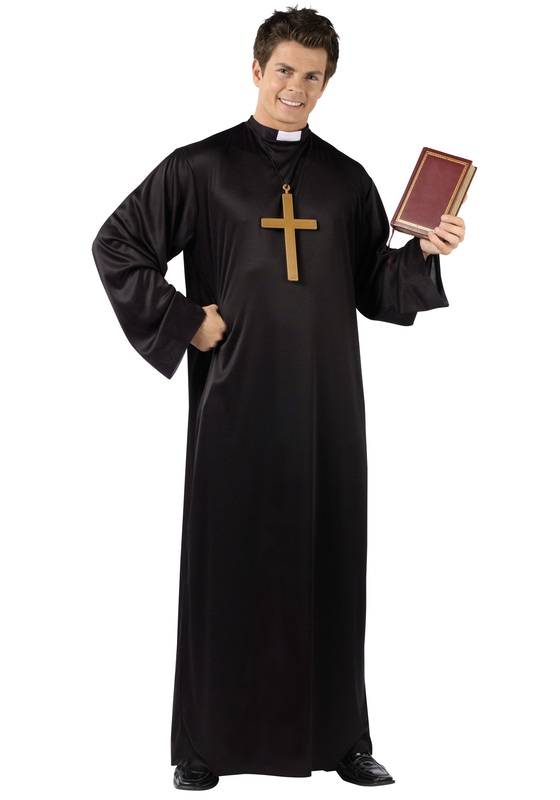 Truthfully, it is nothing short of a miracle that you found your way to this costumed look, as it includes everything you will need to totally transform into this important biblical character. 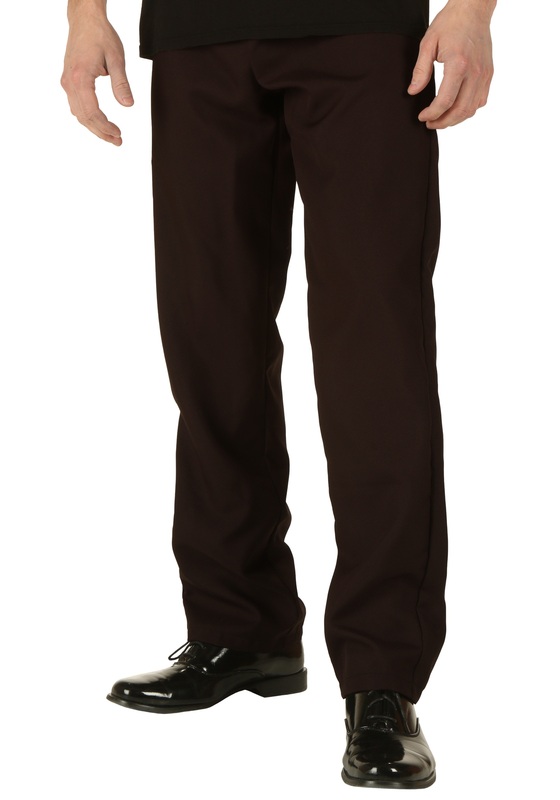 The dress and headpiece are printed to appear as woven fabric, while the included blue belt ties around the waist to complete the classic look. As Mary, you can help spread the good news about the birth of a savior!